Schools continue to need teachers who are skilled in working with students who do not speak English as their first language. GC is one of the few programs that offers dual certification in Elementary Education K-6 and ENL K-6, as well as Elementary Education K-6 and Special Education K-6. Student Teaching – School systems in the area cooperate with Goshen College to provide strong and varied student teaching experiences. Preservice teachers experience a broad spectrum of classroom situations. During the student teaching experience, students will work 12 or more weeks full time in a local school system and will be supervised by classroom teachers and college professors. Fieldwork Experiences – An important part of Goshen’s teacher education program is learning first-hand in the schools. Students will work in a variety of settings with diverse populations. 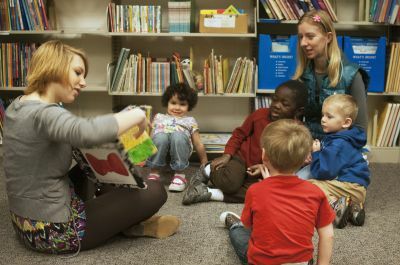 If Study-Service Term (SST) is part of the international education experience, students will also have the opportunity to work with children or youth in another culture. As school violence has increased, we have seen the need for teacher candidates to develop skills in conflict mediation. In collaboration with the peace, justice and conflict studies department, we are able to offer a series of three courses that equip our students in being able to help transform conflict peacefully. We strongly recommend that all teacher education candidates complete this sequence, which results in a Goshen College Certificate in Conflict Transformation. Goshen College is fortunate to have integrated Merry Lea Environmental Learning Center into content area courses so all elementary majors have the opportunity to work in environmental education as part of their program. I have been very pleased and impressed with preparedness of the education majors from Goshen. The desire to continually learn and to be a reflective practitioner is abundant! Due to learning at GC, [this teacher] has been very prepared and strong—a true growth mindset! Student teaching and multiple field placements helped a lot by giving me real-life class situations and experiences. The classes in general were very helpful in teaching me how to look at standards, create objectives, and design assessments. I LOVED my education classes and the professors I had. They do a great job! I felt very well prepared for my first job and have felt ahead of where I should be and ahead of my colleagues!